Dr. Michael S. Katz is a professor of philosophy and education at San Jose State. He has written extensively on ethics in education and other topics related to childhood development. Prof. Katz received his doctorate from Stanford University. He presented this paper to the school parents at a Living Wisdom School breakfast seminar. I would like to thank Helen Purcell for inviting me here to speak with you about some of my impressions of Living Wisdom School and its relationship to the area I am most interested in as a philosopher of education—namely the ethical development of children—the development of their ethical sensibilities and their social and moral character, their capacity as persons to treat others well and to live satisfying and fulfilling lives as social persons. That is what I have been thinking about and writing about since 1983 when I taught my first course in the ethics of education at the University of Nebraska. But I come here also as a former teacher and as a friend of Living Wisdom School—a truly remarkable school which deserves all of our support, and our full appreciation for what it has become—a caring, community that embraces the visionary ideal that students can grow creatively, spiritually, emotionally, intellectually by being allowed to exercise their minds fully and develop their personalities freely in a family-type environment—one that prizes their individuality, nurtures their spirituality, and honors their common humanity as persons. I want to start out with a biographical anecdote, since I am a parent who has been married for 35 years, has two beautiful grown children and one gorgeous 14 month old grandchild Gabriella. In my second academic position, I found myself in Omaha, Nebraska, and my five year old son, Alan, was about ready to go to kindergarten. We had placed Alan in a Montessori school when he was threeand that went fine until one day when he was four and had brought cookies to school for his birthday—he apparently broke one of the school rules about not sitting on the line, and his punishment was that he was not allowed to have any of his own cookies when they were distributed. This seemed very harsh indeed, a clear case where rules were elevated to a higher place than persons and their feelings. My son was emotionally and spiritually crushed by this simple misjudgment, and it called into question the practical wisdom of the school’s leaders and teachers. One depends mightily on the wisdom of teachers and their sensitivity to respond appropriately to our children—in all of their complexity. This is not to say that adults are not entitled to make mistakes in judgment; they all do, even the wisest of them, but our relationships with their teachers must be based on a thoroughgoing kind of trust that they can act regularly and systematically with the bests interests of our children at heart. This trust in their wisdom, their caring attitudes, and their ability to know what our children need to grow and flourish—is something that is built up slowly over time. But it is also something that can easily be destroyed with a single case of poor judgment, a single case of remarkable insensitivity. That is what happened with our son and his Montessori school. When he turned four we did not put him back in the same Montessori school but placed him in a Jewish pre-school at the community center; there we had the painful experience of watching him through one of those one-way mirrors and noticing that he had no friends, did not interact with virtually any of the other children during play time, and looked rather sad and forlorn. We made good efforts to overcome this social isolation by inviting some of the kids over to the house, and little by little my son seemed to relax and make friends at the school. Then it was time to go to kindergarten. There were few alternatives to the public school, but we wanted to consider all of the alternatives. But my precocious little son had already developed his point of view. At one point he summarily told us: I want to go to the Millard Public Schools. I am five and I think I know what is best for my own education.” Be careful cultivating the intellect in your little children. Here I had my own little five year old existentialist son telling us to keep our nose out of his educational affairs. He could make his own rational decisions. The problem was that he had no idea what kind of kindergarten he would find in the Millard Public Schools. He had a kindergarten teacher there named Miss Owens who ran her class like a hard-nosed sergeant in a U.S Marine boot camp. She suffered no disobedience, and she showed little warmth towards my son. At one point when he had coughed, she reminded him that there “were better ways to get the attention of an adult than coughing.” Prior to his first report card, he had told me that his kindergarten teacher had never once spoken to him as a person outside of the formal class settings, that she had showed no interest in him or what he paid attention to. This teacher and I talked on the phone, and I indicated that Alan seemed to have little interest in school; she listened, told me that he did not participate much, and we finished. Three weeks later we got his first report card—about four pages worth of items, and there was not one single thing on the report card that was positive; a lot of satisfactory checks and a few unsatisfactory ones. No indication of who he was as an individual with a rich private world and an active imagination—someone who loved to be read to and was very warm and affectionate with his parents. So we asked for a parent teacher conference—and, unsurprisingly the school organized the conference the same way the western settlers organized their camps—they circled the wagons in full defense of an attack by the Native Americans whose land they were stealing. The principal was there, the school psychologist, the teacher and us. When I informed them that my son had indicated that his teacher had shown no personal interest in him and had no conversations with him outside of class, this was categorically denied. “I show an interest in all of my children.” No examples of course. When I indicated that he seemed to have no interest in school, I was told that he would “do better if he showed interest.” The dialogue was absolutely useless; no strategies were suggested for improving my son’s attitude. We were made to look like we were the “bad guys” questioning how the school experience was affecting our son. All the blame was laid at his feet. When I informed my son that his teacher had said that he would do better if he would show more interest in his classroom activities, he simply looked at me, incredulously, and said: “What am I supposed to do Dad, pretend I am interested when I am not.” Words of wisdom from a five year old—but that is what alienated, high-achieving kids learn to do in the public schools—pretend to be interested when they are not. In any case, toward the end of that academic year, I was invited to participate in establishing a private Jewish Day School. I threw myself into the project, but not because I was particularly interested in my son’s Jewish identity. We had not even joined a synagogue in Omaha—one of the few families who had not done so. But I was completely committed to not having first grade be a repeat of kindergarten. I wanted him to love school, to love learning, to be excited about going to school. So we established a Private Jewish Day School and the first thing we did was to steal one of the most creative, wonderful teachers in Omaha, a woman named Lucille Saunders who had over 40 years of teaching experience in five or six states, was an ex-nun who believed in the freedom and creativity of the British primary schools—from one of the Catholic Schools. They were paying her about $12,500, and we increased her salary by about $1,500 and gave her complete autonomy in setting up her kindergarten and first grade; we opened with about 12 or 13 kids. There were five in my son’s first grade class. Now I must say one thing: had I not experienced first hand my son’s painful kindergarten experience, there is no way I would ever have done such a rash thing in 1980. Forming a private school with almost no funding is a prescription for migraine headaches. Every parent involved wants to run the school. No one knows the first thing about developing and building a quality school. The lines of authority between teachers, the administrator (if you are lucky enough to have one), and parents are blurred beyond belief. It’s a total mess. So when one finds a school like the Living Wisdom School that has been flourishing for some time, I must say it is a remarkable achievement, for building an effective private school from the ground up is an incredible achievement. I know. I suspect for the first three years of establishing the Jewish Day School of Omaha, I put in an extra 20-25 hours a week. It was like another full-time job psychologically, filled with frustration. We had to get rid of our first two administrators—one who thankfully left and took another job, the second whom we had to fire. And that is awful: to bring someone in to run your private school and then to have to fire them because they cannot do the job well. Painful stuff. Thus, let me say some things about the Living Wisdom School that most of you know all too well. What I will say is not earthshaking, but I hope some of it hits home and awakens your sense of appreciation and gratitude for the great gift that you have been given with this school, its remarkable culture, its talented, dedicated, creative teachers, and its splendid leadership. First of all a school is not merely classes, teachers, and academic instruction—however critical those are. It is primarily a normative culture whose value commitments infuse the air that your children breathe, a culture which your students are interacting with every day in ways that affect the cultivation of their habits, attitudes, and values. A culture can be a unified one or a fragmented one, but one thing that a culture embodies, as all of you know, is “a way of life.” —it is defined by its core beliefs and values; it is embodied in its most sacred rituals; it is lived by its members, and it is passed on by its adherents. What is a caring community? Let’s break this notion down into its two components: community and caring. What is a community? For John Dewey, one of my favorite philosophers and the perceived “enemy of the far right”—a community was a group of people united by a set of core values and goals. 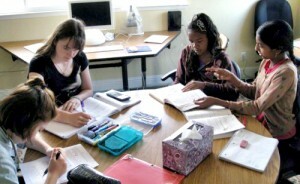 The community of Living Wisdom School is unified by its goals—the goal of fostering the creative spirit and creative impulses of each and every child, the goal of helping each child learn how to get along and cooperate with his/her fellow classmates and not just those in the same class but those older and younger in the school. How inspiring it is to see a play where all 55 children are contributing at their fullest level of skill, reciting poems, enacting dialogue, playing multiple roles, singing, dancing, reciting, acting—and doing so in creative unison to dramatize the life of an inspiring spiritual figure whose words and deeds embody the highest ideal of the human spirit. My wife and I have been to only the last two plays. But there is an expression in Yiddish that summarizes how we felt as we watched them—and remember we don’t have any children in the school; we don’t even know any of the children in the school. The word that summarizes how we felt is “we qvelled when we watched this play.” To qvell is to be swollen with pride—to be filled up with joyful pride. Filled up to the point of bursting with pleasure. That is how we felt when my daughter was married and the evening ceremony went like clock-work, and she looked radiant in her wedding gown. That is how we felt when we watched the kindergartners and first graders, second graders, third graders—all the way to the 8th graders do their parts. There was a sense of wonderment and awe. How could these kids do this? Well, the answer was simple—they were directed, inspired, helped, guided, encouraged, and led by wonderful teachers, parents, friends to do it. They were allowed to do it, supported in doing it. And the result was a celebration of their creativity and an embodiment of what a caring community can achieve when it commits itself totally to something like this. So a certain kind of community is a place that unifies two complementary features into one whole—a commitment to the welfare of the group and a simultaneous commitment to the individuality of each person. Neither the group’s well being nor the individual’s uniqueness is sacrificed to the other. This requires a special kind of wisdom on the part of the school’s leadership and all of the teachers, but all of you have seen this wisdom being practiced here virtually every day. Noddings tells us that a “caring encounter,” something your children experience every day in this school, has several critical dimensions. The most important dimension is an openness to receiving the other person as “a unique individual.” When we care, we open ourselves up to accepting and receiving the other in his/her full otherness, in his/her full individuality—we accept and receive the other’s thoughts and feelings without critical judgment—for understanding and accepting the other is more important than judging him or her. To be “cared for” in a caring encounter is to be fully received, fully accepted, fully appreciated. It is to be validated in one’s essential human-ness. It is to be affirmed in one’s basic value as a person with worth and dignity. There is no substitute for this kind of “caring” in becoming a healthy person who can go on to live a flourishing life. Before I began my efforts to establish a Jewish Day School, I did not fully appreciate the role of caring teachers in a young person’s life. I was worried about my son’s cognitive development. But it did not take long for me to see the light. A child who is not cared for by his teacher is a child who suffers great pain, a child whose spirit can begin to shrivel, a child whose vulnerability is threatened. One can make an analogy to a flower and sunlight. A child who is not cared for is like a flower who does not receive enough sunlight and withers. A child who is properly cared for is like a flower coming into bloom. So be grateful that your children are having daily caring encounters in the Living Wisdom School. They are like flowers coming into bloom. Be thankful for that. Now, a caring relationship is something more than a “caring encounter” or even a set of caring encounters. It is exactly what it is—a reciprocal relationship between one caring and one cared for. I can speak only of the teachers I know best, but I am sure what I say of them applies to others. I would experience not one iota of doubt in turning my children over to them for the several years that they bring up your children in this school. Why? Because every one of their children will be in a “caring relationship” with them. At the core of a caring relationship is one thing: a complete, unqualified dedication to the wellbeing of the one cared for. I repeat: a complete, unqualified dedication to the well being of the one cared for. How could one ask for more? But one gets even more with these two remarkable persons. One gets the incredible compassion and wisdom that each of them brings to the task of nurturing your children’s growth. Conceivably one could be dedicated to the wellbeing of the other and lack good judgment. One could lack inner psychological security and thus try to meet one’s needs through one’s students. In my own Ethics of Teaching unit for secondary teachers, I have them read a novel and see a film—The Prime of Miss Jean Brodie (played by Maggie Smith in the movie). Miss Jean Brodie is “dedicated to her students” but she does not know how to care for them because her own narcissistic needs are too great; her self-deception is too powerful. She does not want them to flourish as independent creative spirits but seeks to make them into little Miss Jean Brodie “clones”. That is not what you want for your children, but what you get from these wonderful teachers and from others in the school is the cultivation of creative, caring children—ones who are coming to understand in powerful ways what all students need to do to become effective social persons—care for and appreciate their classmates, learn to cooperate with them, learn to work with them to produce something that is larger than ourselves—like a fabulous school play, and learn to be the best persons that they can be. I want to conclude with a reminder of how special this school is in light of what is going on in America’s K-12 schools. What is being talked about there: how do we improve students test scores? How do we punish schools and teachers and administrators whose students do not perform well on these tests? In schools where less than 95% of the kids show up, they are stigmatized. Consider the vision of schooling that is embodied in this movement. Schooling is reduced to cognitive achievement and cognitive achievement is reduced to scoring well on high stakes tests. Now one does not want to diminish the importance of teaching kids how to do well on pressurized tests, but is that what you want for your child’s growth as a young person? Where is the cultivation of creativity, cultural understanding, the capacity to care for others and relate productively with them, where is music, art, drama, or philosophy in these standardized tests and the paranoia accompanying their outcomes. The public schools are now massively regulated—not by any ideal of developing an educated person—but by what society considers intolerable: producing kids with diplomas who cannot read or do basic math; that is why were are regulating the public schools to focus on test scores—because we are producing so many students whose diplomas do not represent minimal achievements in literacy. So, compare two rituals—massive numbers of kids next week in California’s public schools will be assembled to take their standardized tests. Living Wisdom School’s community just dramatized another incredible life of a Chinese compassionate sage—after months of remarkable cooperative effort. 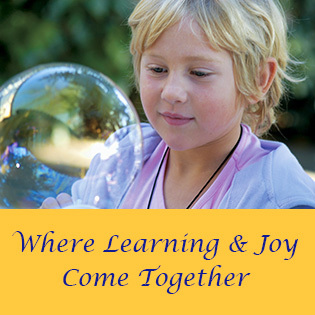 In which environment would a child flourish and develop his or full human potential to live a joyful, creative life? The answer for me is quite clear. 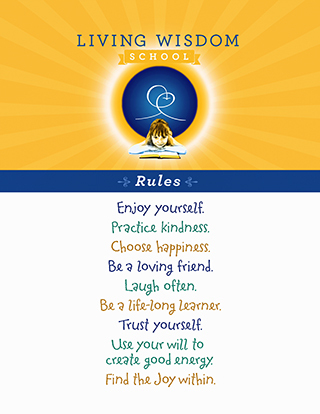 The School of Living Wisdom—a school which represents a precious, far too uncelebrated accomplishment of dedicated wise, caring teachers, inspired leadership, wonderful parental participation, and beautiful children. I feel honored to speak with you this morning; I feel honored to be connected, however indirectly, to the School of Living Wisdom. In turn I marvel at its spirit, I embrace its visionary ideal, and I celebrate its remarkable accomplishments. I urge us all to spread this word on how special a place it really is. Thank you for listening. Dr. Katz received his B.A. from Amherst College, an M.A. and Ph.D. (1974) from Stanford University. He is the author of over 30 articles in journals such as Educational Theory, Interchange, The Journal of Learning Disabilities, The Journal of Teacher Education, Planning and Changing, and Philosophy of Education. He is the co-editor, along with Nel Noddings and Kenneth Strike, of a recent book on ethics and education: Justice and Caring: The Search for Common Ground in Education (Teachers College Press, 1999). Dr. Katz has also taught at The University of Nebraska at Omaha, San Francisco State, Stanford, and The American University (Washington, D.C.) where he chaired the doctoral program in higher education. He has served as Secretary-Treasurer of The Philosophy of Education Society of North America and the Executive Board of this Society; he also chairs an ad hoc Task Force on the Ethics of Education for the Philosophy of Education Society. Presently, he serves on the Editorial Board for Educational Theory and a new journal produced in England—the Journal of Ethics and Education.